With as much as 40 percent of the total operational costs for a data center coming from the energy needed to power and cool its racks of servers, energy inefficiencies encountered in power conversation are not to be overlooked. Data centers are now firmly established as a cornerstone of today’s global economy. They allow for the movement, storage, and analysis of the information that sits at the heart of our personal and business lives. Without them we could not engage as freely as we like in daily communications, share on social platforms, stream video, conduct commerce, or access and transfer money – as well as advance the work in game-changing areas that involve AI, machine learning, IoT, security, 5G networks, and autonomous transportation. It’s estimated that autonomous cars will generate 4 terabytes of data per day from their onboard cameras, radar, sonar, GPS, and LIDAR systems. If only 10% of today’s US drivers adopted self-driving vehicles, that would generate 40 zettabytes (1 zettabyte is 1 billion terabytes or 1 trillion gigabytes) of data annually. 30 billion or more connected devices are predicted by 2020. The 44 zettabytes of data IoT devices will generate and use alone will require an additional 400 million servers in 4000 massive data centers. And the growth in AI, machine learning, voice and image recognition will open the gates to an unprecedented flood of information that must be directed into cutting edge hyper-scale data centers. In 2017, approximately 8 million data centers around the world (ranging from small server closets to mega data centers) were handling the data load. They required an astronomical 416.2 terawatt-hours of electricity. That’s 2 percent of total global use, and it’s expected to reach an unprecedented 5 percent of global electricity consumption by 2020. It’s clear that much of the fabric and benefits of modern life has become, or soon will be, fully reliant on data centers. But as the flow of data grows and is accompanied by the construction of massive data centers, there is an emerging ‘dark side’ to this story that might otherwise read like a utopian fairy tale of unlimited bounty. Are we creating a better world through data, but at the same time sowing a few seeds of destruction by not paying appropriate attention to their increasing requirement for and inefficiencies around the resources data centers require – from the steel, concrete, and copper needed to build them to the electricity required to run them all day, every day. There may be a heavy bill to pay – for individual businesses and the planet, if we don’t rethink the practice and metrics of success and efficiency in data centers – today. 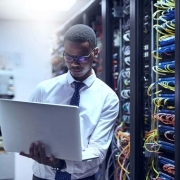 The data center market has evolved not only in response to the quantity of data – but also to increasing demands around connectivity up-time, security, and lower IT costs. The result is a complex set of services, infrastructure, operating expenses, and business models with responsibility parceled out to different parts of organizations. 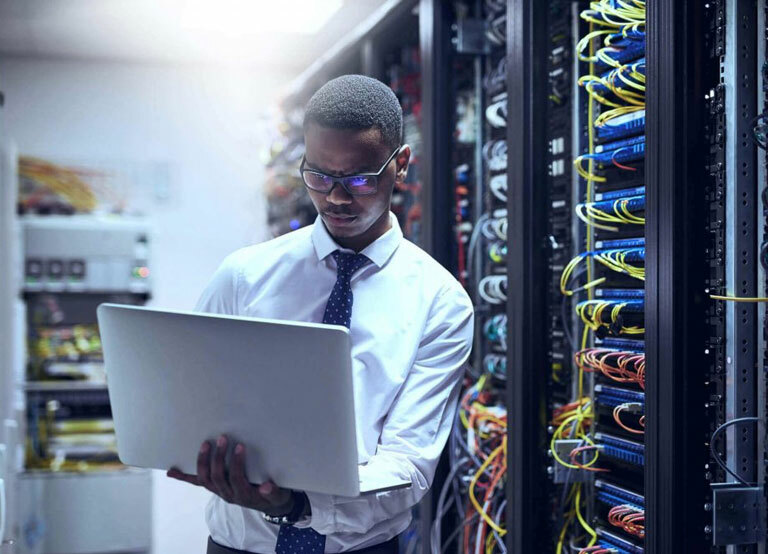 Once predominantly small server rooms are migrating to hosted cloud solutions; while enterprise, multi-tenant, hyper-scale and high-performance computing data centers now account for the lion’s share of growth – and energy consumption. The average data center consumes over 100 times the power of a large commercial office building. A large data center uses the electricity equivalent of a small U.S. city. With as much as 40 percent of the total operational costs for a data center coming from the energy needed to power and cool its racks of servers, energy inefficiencies encountered in power conversation are not to be overlooked. For the Head of Data Centers: How big is the energy bill for my data centers? For the CFO: How much do I need to spend on building data centers or can I defer this? How much revenue can I push through the equipment in my data center? Should I own my own data center or should I rent services? For the CEO: How can I differentiate and make my company more successful overall – now and in the near future? With the exception of the leaders in the hyper-scale or high-performance data centers (such as Apple, Facebook, Google, Amazon, Microsoft, Baidu), the problems are understood, but the solutions are largely unimplemented. Energy is often a low priority amid a myriad of concerns for data center operators. There are three main strategies data centers can use to address power inefficiency and density issues. These will be addressed in part 2 of this series, along with the growing need for change in culture and management practices. Well-documented practices of facility efficiency and software technology. Industry Perspectives is a content channel at Data Center Knowledge highlighting thought leadership in the data center arena. To read the original article, click here. To read part two, click here.